Why I do not use bureau? All my IOTA activations are available for automated credit for IOTA program free of charge. Please read my actual QSL card policy before requesting paper QSL. NO PAPER QSL CARD POLICY. Starting from mid 2016 you do not need printed paper QSL card to apply for IOTA program auto-credit and QSO matching. It also means you do not need to send me payment to post your QSL and wait until it arrives. 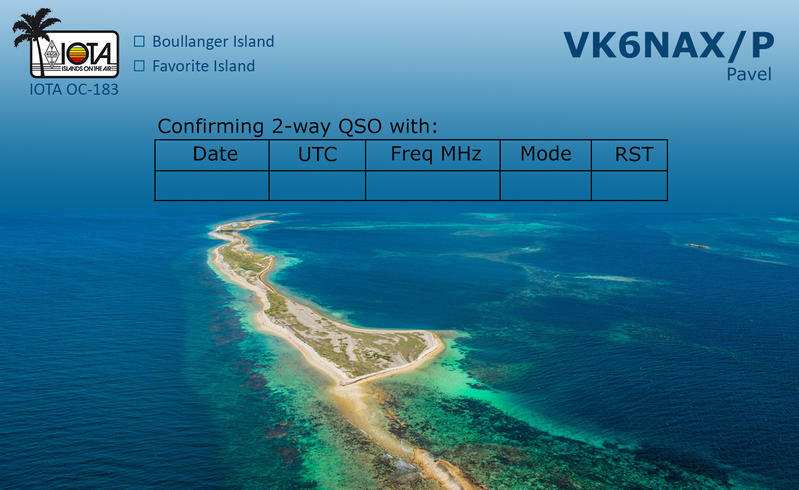 You also do not need to send me your QSL card to have mine. 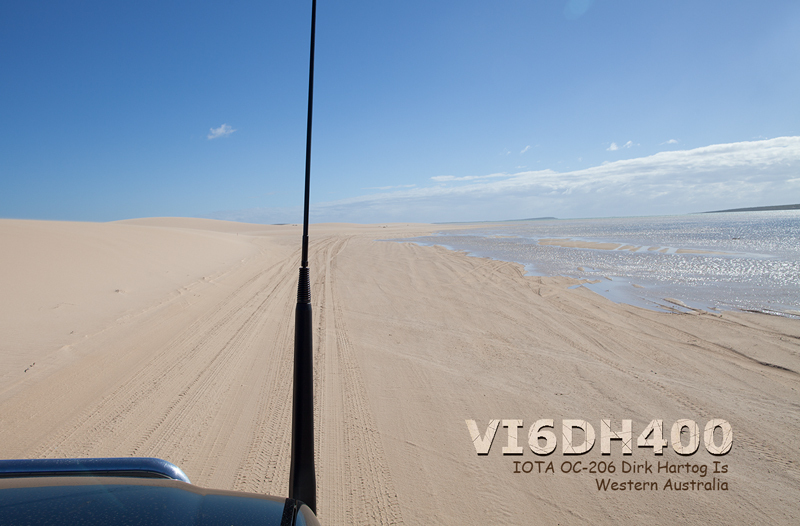 Simply follow latest instructions from IOTA and your QSO will be auto-credited. This works for my IOTA activations of OC-164, OC-183 and OC-206. 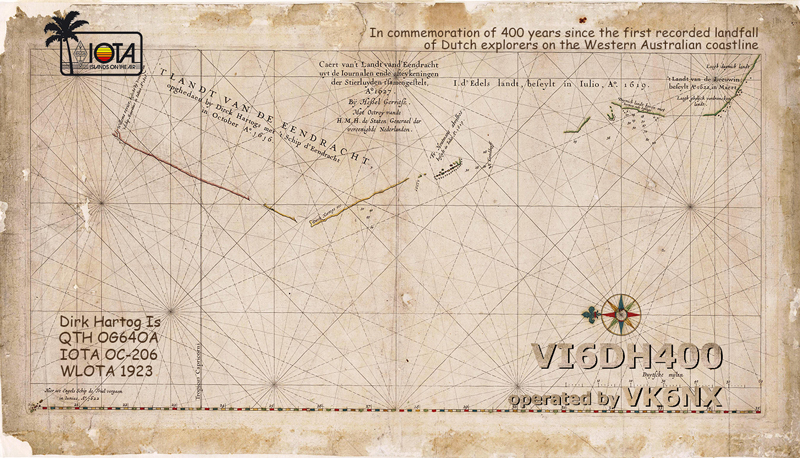 - All my QSL cards are distributed direct only upon request. No exclusions. - PayPal is the only payment option, as it is trackable and reliable, even I have to pay 10% fee for its services. Please do not send direct mail, it is not accepted and will be returned. 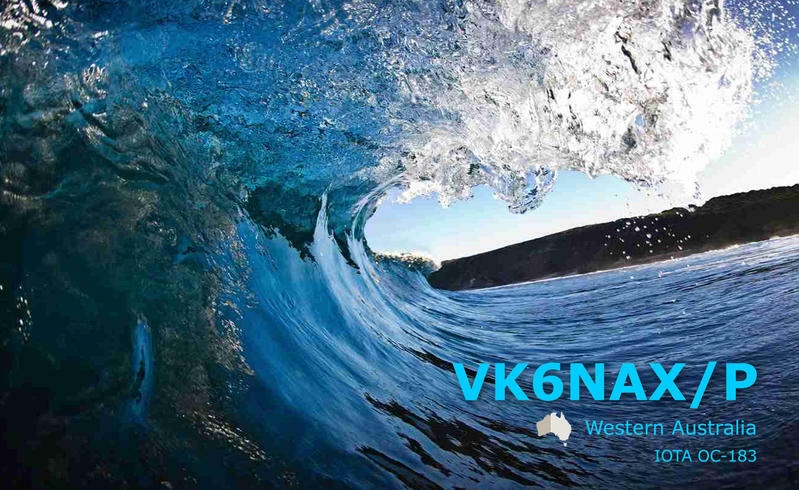 - Ex-UA zone only served with dedicated QSL manager, all other zones requests should be directed to me. Please note: If you do not follow below procedure and I will be unable to identify QSO and Call Sign, I simply refund your money. Please double check if details are in your PayPal transaction record; if unsure, follow up emailing details to me. 2. Make sure your call sign in log. Logs and activation days are on this page. 3. Verify your postage fee. Why you may receive refund for your PayPal payment? Your call sign in log and you've sent PayPal payment, but it is refunded? It is because details (as described in above section) are missing from your transaction and I am unable to identify QSO and/or your Call Sign. Please figure out what went wrong, fix it and sent your transfer again, make sure required details are provided. For the following prefixes ONLY - RA, UN, EU, ES, YL, LY, UR, EK, EX, UK, 4L, ER, 4K, EY - QSL manager is RV9CX (please do not send him requests is your call sign is from different prefix). 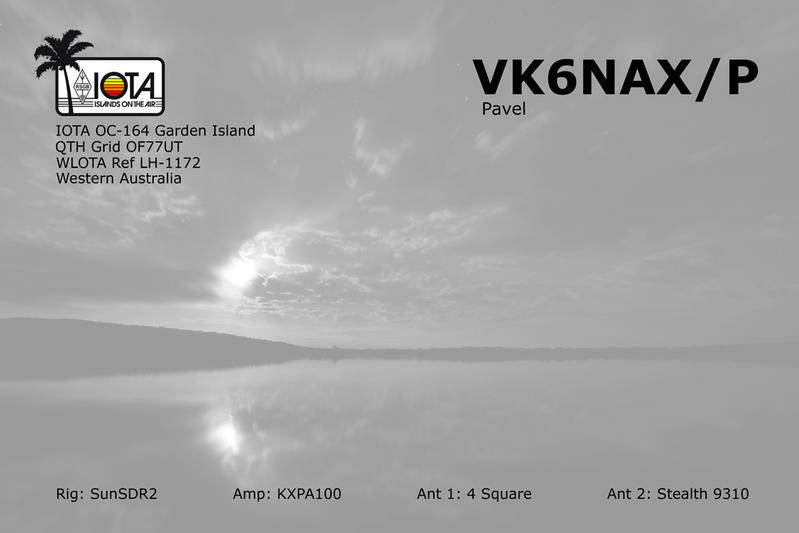 I am not looking for QSL managers for other regions/prefixes. Уважаемые коллеги из ex-CCCР. У IOTA работает системы электронных зачетов. Это означает, что начиная с июля 2016 года вам больше не нужны бумажные QSL карточки для программы IOTA. Просто следуйте описанной IOTA процедуре автозачета. Для тех, кому бумажная карточка нужна для коллекции или зачета по другим программам, и чей позывной относится к следующим префиксам - RA, UN, EU, ES, YL, LY, UR, EK, EX, UK, 4L, ER, 4K, EY - пожалуйста свяжитесь с Дмитрием, RV9CX, он является QSL-менеджером для указанных префиксов. Дополнительная информация по запросу и получению QSL-карточек для ex-UA опубликована на qrz.ru и на страничке Дмитрия. Пожалуйста, перед запросом карточки ознакомьтесь с информацией на страничках по обеим линкам. Why I am not using bureau? NO BUREAU cards please. 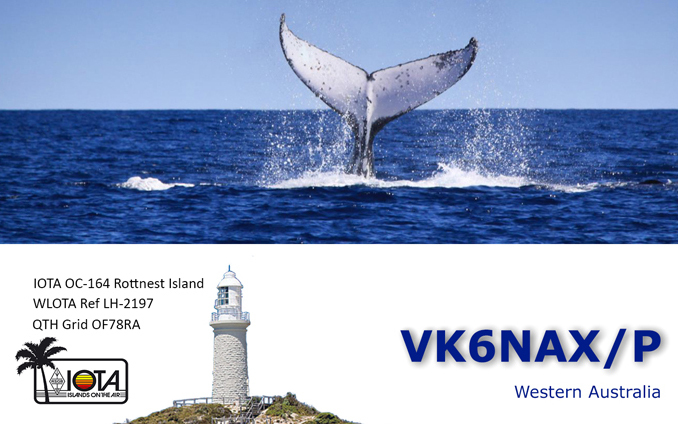 None of my call signs are using national radio society QSL bureau (WIA) for sending/receiving QSL cards. Please note: if you send card via bureau - it will never reach me. The reason I am not using bureau services: they are uncomfortable, very expensive and very slow. In Australian states the service is predominantly based on volunteering staff, which means there is no guarramtee on time and all service is best effort. Since January 2016 all my QSL cards are printed localy in Perth printing lab on HP Indigo machine and 360g paper. Front side of the card is laminated, QSO information is printed on transparent sticking lable and stick on back side of the card. Photos and comments from OC-183 on 15-17 of April 2016. What happened on a field. 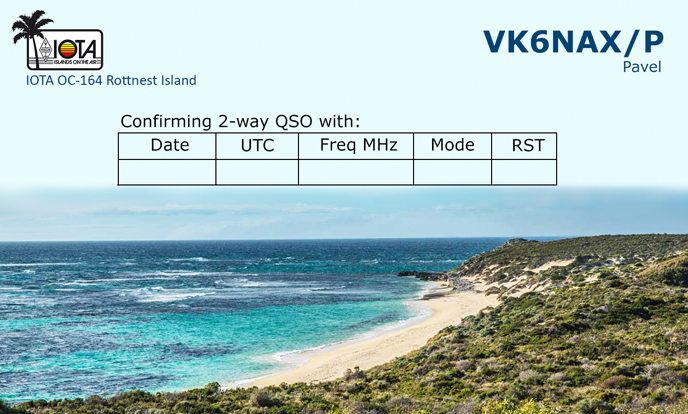 What you need to know to get QSO in your log - everything about station. 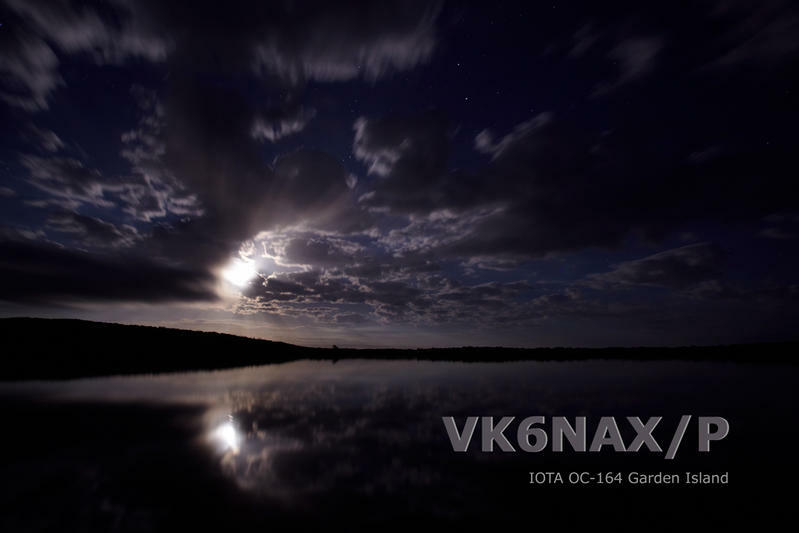 QSL cards for OC-164 and OC-183 are printed and distribution is in progress.